The service operator and provider for AWS China (Beijing) Region based out of Beijing and adjacent areas is Beijing Sinnet Technology Co., Ltd. (Sinnet). And the service operator and provider for AWS (Ningxia) Region based out of Ningxia is Ningxia Western Cloud Data Technology Co., Ltd. (NWCD). Customers who wish to use the China Regions are required to sign up for a separate set of account credentials unique to China services. Customers with existing AWS credentials will not be able to access resources in the China Regions, and vice versa. Please request an AWS (China) account at www.amazonaws.cn. The Asia Pacific (Osaka) Local Region is a Local Region, which is a new type of region that comprises an isolated, fault-tolerant infrastructure design located within a single datacenter. The Asia Pacific (Osaka) Local Region consists of one Availability Zone and is intended to be used in conjunction with the Asia Pacific (Tokyo) Region. This region requires that customers request access through a sales representative. 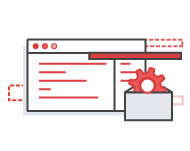 AWS Identity and Access Management (IAM) users can only be created and managed in the US East (N. Virginia) or GovCloud regions. IAM users created in the US East region can be used to access AWS services in all regions except the GovCloud Region. IAM users created in the GovCloud region can only be used to access AWS services in the GovCloud region. For more information about IAM, please see the IAM detail page. AWS Mobile Hub can only be managed in the US East (N. Virginia). Mobile Hub in the US East region can be used to manage AWS services in the regions shown in the table above. For more information about AWS Mobile Hub, please see the AWS Mobile Hub detail page. 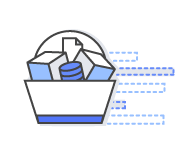 AWS Organizations is available in all AWS commercial regions and AWS GovCloud (US) regions. The service endpoints for AWS Organizations are located in US East (N. Virginia) for commercial organizations and AWS GovCloud (US-West) for AWS GovCloud (US) organizations. For more information about AWS Organizations, please see the AWS Organizations detail page. AWS Support is available in all regions, including AWS GovCloud (US). As an AWS GovCloud (US) customer, you have access to AWS Support engineers 24 hours a day by email, chat, and phone. AWS GovCloud (US) protected resources are accessible only by ITAR-vetted and trained support engineers residing within the US. Non-ITAR-vetted support engineers residing outside the US can assist with basic support cases and escalate to US-based, ITAR-vetted support engineers for assistance with protected resources. For more information about AWS Support in AWS GovCloud (US), see the AWS GovCloud (US) & Support FAQs page and click the “Support” link at the top of the page. Resource groups, which can be found in AWS Systems Manager, is not available in AWS GovCloud (US), AWS China (Beijing) Region operated by Sinnet, or AWS China (Ningxia) Region operated by NWCD. For more information, please visit the Accessing Systems Manager section of the documentation.